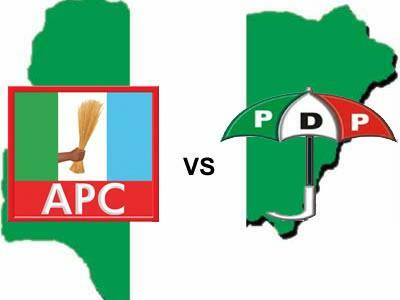 Peoples Democratic Party (PDP), Ibadan North Local Government chapter, yesterday (Tuesday), welcomed hundreds of the All progressives Congress (APC) to the umbrella party in a carnival-like ceremony, at the Salvation Army School, Igosun, Yemetu, Ibadan. Nigerian Tribune said the new defectors in their address, said they decided to pitch their tent with the party because the current APC administration in the state, had failed to manage the electoral success they all worked for during 2011 elections. The former APC members who came with brooms the symbol of their old parties, had the brooms burnt in the full glare of members of the public. Leaders of the new members, Honourable Wale Sogbala and Mr Akeem Bello, in a separate address on why they joined PDP said: “We opted for the PDP because the Ajimobi-led government in Oyo State had failed to manage the electoral success of the party. The two Senators of the party had gone to other parties ditto some members of the Federal House of Representatives and members of the state House of Assembly. “Those who painstakingly worked for the victory of the party are not the beneficiaries of its goodies, but those who have influential parents within and outside Oyo State. It means monkey dey work, baboon dey chop. And since we do not want to labour in vain again, we decided to dump the broom for the umbrella,” they said.